Our story began in March 2012 when we traveled to the Middle East on a vacation trip. During our stay, we were introduced to the beauty and luxury of unique Indian fabrics and fashionable accessories. We became very fascinated and decided to introduce these stunning products to the United States. From an idea, Banarsi Designs was born, an online boutique that offers authentic, colorful, and luxurious table linens, décor, and fashion for all occasions. On October 4th, 2012 Banarsi Designs (www.banarsidesigns.com) was officially launched. 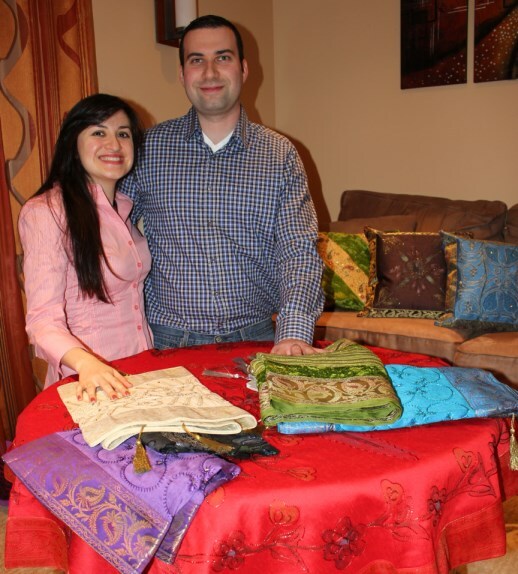 Since then, we have continued to expand our collection from home décor to fashionable accessories such as scarves. We welcome you to explore our products and we hope you fall in love with them the same way we did.